Reviews of Breweries, Bars, Restaurants, and Street Eats in the Baja and Southern California Region. The last Saturday of every month I will be organizing public tours open to everyone. 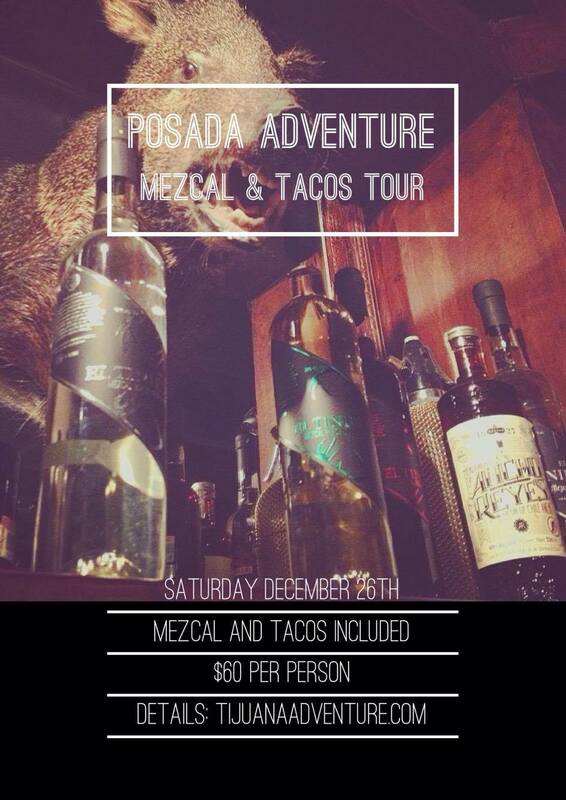 Saturday, December 26th, the day after Christmas, it’s time for an all inclusive Posada Adventure! For $60 you get 4 tacos, 4 mezcales in 4 different locations and more! Tour starts at 3:00 pm at the meeting spot/border pickup. From there to Kokopelli for tacos and mezcal. Mamut is next for mezcal and optional beers. Cevicheria Naiz for more tacos and mezcal and finish off at popular bar La Mezcalera for more mezcal and crickets! You can’t make it that Saturday? Book me for a private tour! Or wait until the last Saturday of every month for a different event!